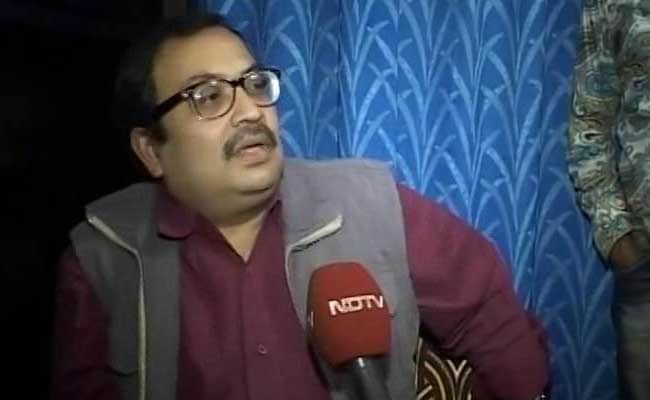 Kunal Ghosh's statement came a day after CBI filed an FIR in Narada case. Kolkata: Suspended Trinamool Congress MP and multi-crore-rupee Saradha chit fund scam accused Kunal Ghosh, who was behind bars for over three years, on Tuesday demanded that the CBI take state Chief Minister Mamata Banerjee into custody, if she tries to influence the Narada sting footage investigation. Mr Ghosh's statement came a day after the CBI filed an FIR in the Narada case booking a dozen prominent Trinamool leaders, a development which Ms Banerjee has dubbed a "political game", and vowed to fight politically. "Mamata Banerjee is constantly trying to hinder the investigation. She tried to stop the investigation from going to the CBI's ambit. She has also made contradicting statements about the video footage. If the Chief Minister keeps on trying to influence the probe, the CBI should arrest and take her into custody first and then interrogate the others," Mr Ghosh claimed. Mr Ghosh, who gave a number of statements against Ms Banerjee during his days in jail since his arrest in November, 2013, accused Banerjee of "shameless double standards" by supporting her party leaders who were purportedly seen taking money in the sting operation video tape. "Chief Minister Mamata Banerjee has exhibited shameless double standards by saying that the FIR does not prove someone's guilt. When an FIR was lodged against Bangaru Laxman for allegedly taken money, why did she leave the party? the crime was not proved at that time," Mr Ghosh questioned. "Now she is terming this as a political game but in my case when I was arrested and harassed by the police she did not say anything. This is nothing but duality," said the Rajya Sabha member who is currently on bail. He also demanded the 13 accused persons mentioned in the FIR on the Narada case, should be immediately taken into custody as all of them are influential. "All the 13 people, mentioned in the FIR are influential. They should be immediately taken into custody before CBI begins the actual probe," he added. The CBI on Monday filed an FIR against a dozen senior leaders of West Bengal's ruling Trinamool Congress and an IPS officer in the Narada sting footage case, raising the political temperature in the eastern state.